Hope you all are having a great weekend!! I’ve found that the best gifts always sell out the fastest, so I always try to get my Christmas shopping done early!! 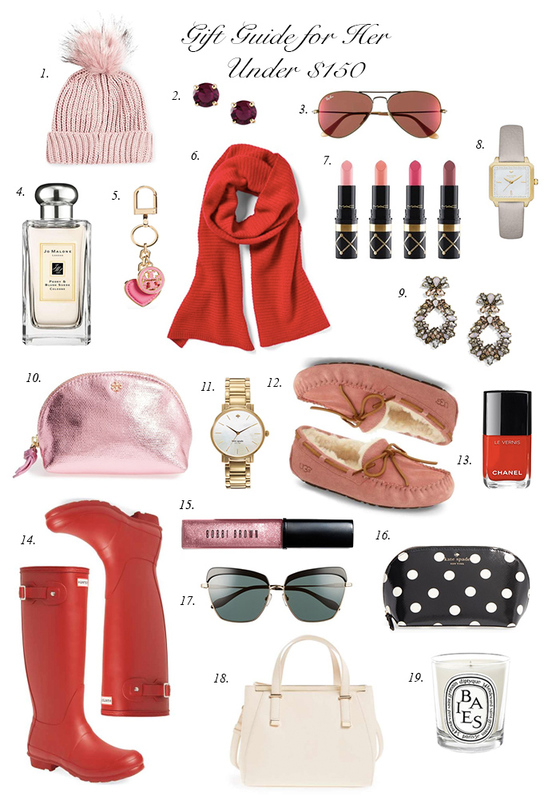 Today I’m sharing my favorite gift ideas, perfect for your mom, sister and girlfriends all under $150 and all from Nordstrom!!! Accessories are a great stocking stuffer and can be the perfect gift! Let’s be honest… we all love accessories and can never have too many!! I love your blog!! Thanks for all the info. I love your picks! All the pink pieces are my favorite! Such a lovely selection of gift ideas! Rachel! I love all these picks! I sure hope my husband has this good of taste ha! I can only hope he stuffs my stocking with any of these items! Great selection of gift guides!! Going through and loving everything you have laid out…..but those wellies OH MY GOSH!!! YAAAASSSS!!! !